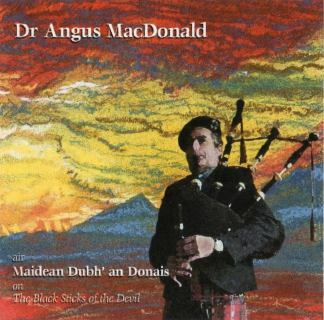 Dr. Angus is a world-renowned Scottish, competition piper who has been strongly influenced by the music of Cape Breton. 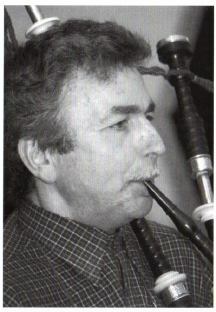 Many years ago he came to teach piping at the Gaelic College and eventually he married a local girl. Both piping and a medical career took them back to Scotland however they do come back to Cape Breton frequently. Angus's CD reflects diverse influences and repertoire from traditional Cape Breton dance tunes to 17th century harp music to instrumental versions of Gaelic songs to new compositions by himself and by his brothers, Iain and Allan. Accompaniment is varied throughout - from solo pipes to a full complement of instruments.